With several top-tier phones ditching the headphone jack (including the iPhone XS, the Google Pixel 3 and the Moto Z3), now is the perfect time to pick up a pair of wireless Bluetooth headphones. Even if your smartphone has a headphone jack, a Bluetooth headset means never getting tangled in your headphone wires again. While you can spend a lot of cash on headphones, you can get a perfectly good pair for under $50 — and a couple of pairs around $25. That's some great tech at a great price. Let's start off with a rundown of what features to look for when you're shopping for headphones. What kind of headphones do you want? Earbuds fit in your ear and can provide good sound isolation even without noise-canceling features. They're also extremely portable. However, comfort and fit vary a great deal from earbud to earbud. Some come with sized earpiece inserts so you can find the right fit, and others use different methods to stay secure in your ears such as hooking over your ears. What you find comfortable may vary, so pay careful attention to the style and look for a pair you can customize to fit your ears. The biggest downside of earbuds is limited battery life due to their small size. Expect them to last five to eight hours per charge. On-ear headphones are probably what you think of first when you think of headphones. These are based on a band that goes over your head, with a plush earpiece on each side. Because on-ear headphones sit on your ear, you're likely to get a lot of external sound, and people near you are likely to hear your music if you have it turned up very loud. These headphones are much bulkier than earbuds — look for foldable headphones if you need to save space — but their larger size means battery life up to 40 hours. Over-ear headphones resemble on-ear headphones, except the ear cups fit over your ears. This isolates your ears from external sound and keeps people nearby from hearing whatever you're playing. Sound quality This is a priority for any headphones and Bluetooth headphones are no different. While you won't get top-tier sound in the under $50 price range, you can certainly get perfectly acceptable sound. All our recommendations feature good sound quality. Battery life If you'll be listening for a few hours a day while you're commuting, short battery life won't be a big deal. But if you intend to use your headphones to listen to music or take calls all day, you'll need a better battery. A cabled option Yes, one of the big advantages of Bluetooth headphones is the fact that they're wireless. But if your battery runs down and you want to keep listening, the ability to connect by wires (which doesn't require battery power) comes in handy. You'll find this feature on some sets of on-ear and over-ear headphones. Built-in controls Because your headphones are wireless and you don't need to have your phone nearby to use them, controls on your headphones are a big convenience. Sweat-proof If you'll be using your headphones for exercise, a sweat-proof set is a must. Built-in microphone To take calls as well as listen to music, you'll need a microphone. Noise cancellation Yes, even at under $50, you can find headphones with noise cancellation. Just don't expect it to be the very best, and expect lower battery life. NOTE: While the manufacturer's prices listed below may be more than $50, we have provided links to Amazon where you can buy the headphones for less than $50, as of 4/3/2019. For Bluetooth headphones that won't break the bank, you can't possibly do better than these SoundPEATS Q12 earbuds. 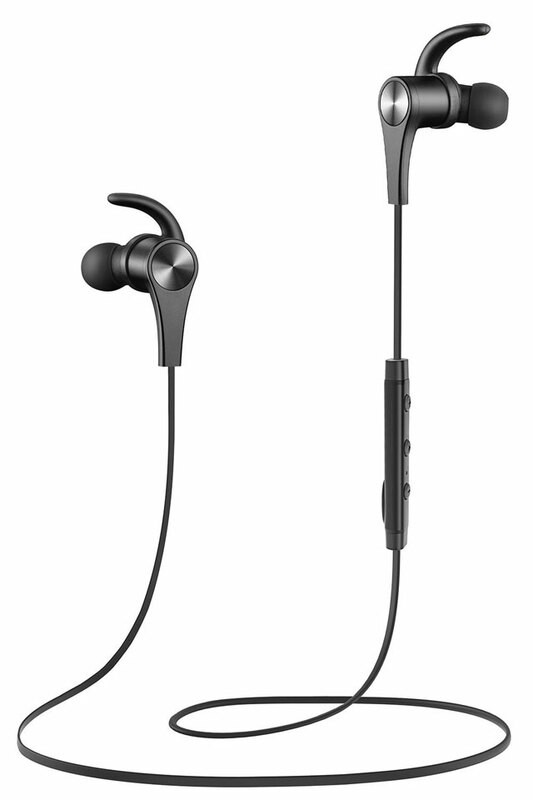 For around $25, you get a pile of surprisingly high-end features including noise cancellation, four ear tips and three types of ear fins to provide a comfortable fit, sweat resistance for workouts and a built-in microphone and controls. Noise cancellation is a feature we usually see only on higher-priced headphones, and while these don't have the best noise cancellation you can get, it's great to find the feature at such a low price. Like most earbuds, these are small, weighing just 0.53 ounces. Magnets built into the earpieces attach to each other so can wear the headphones like a necklace when you're not using them. A few color options are available -- black, red and white. None of them make a major fashion statement, but you do get a few options. The biggest downside to these earbuds is their low battery life, lower than anything else on this list. They provide seven hours of talk time and just four to five hours of music time. While that will certainly get you through a workout, it won't last an entire day. If all-day listening is what you're looking for, be prepared to charge these, or choose another pair. 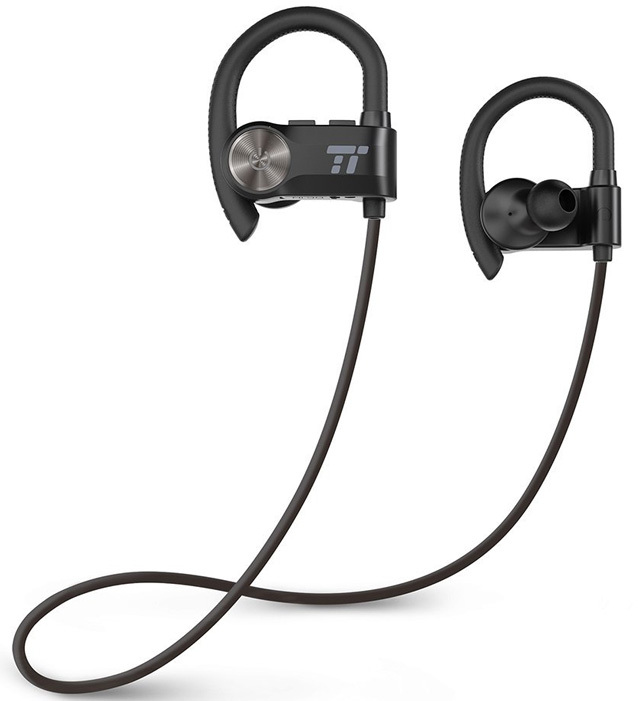 These Taotronics TT-BH024 earbuds are a great match for intense workouts. Adjustable hooks slide behind your ears to keep them in place no matter what. While many earbuds offer hooks or catches to keep them snug in your ear, fit and comfort can vary. This simple design ensures your earbuds stay in place without any complicated mechanisms, whether you're out running or getting jostled in the subway on your way to work. They're also sweat-proof (IPX6), which keeps them safe whether you're doing high-intensity training or getting caught in the rain. 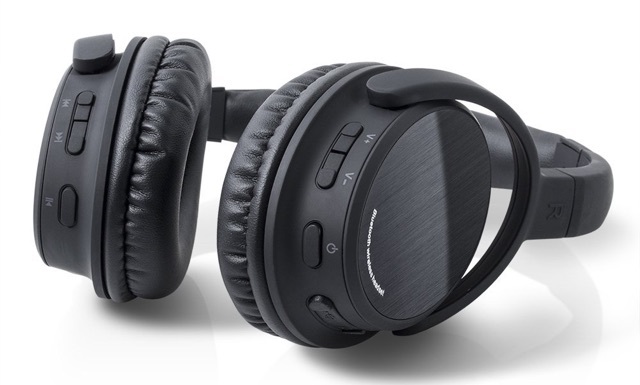 A definite upgrade from the SoundPEATS headphones above, these Taotronics offer eight hours of play time and have a noise-canceling mic to remove environmental sound. On top of that, Taotronics are only available in basic black, so you won't be making any fashion statements. Most of the headphones on this list are sweat-resistant (IPX5 or IPX6). 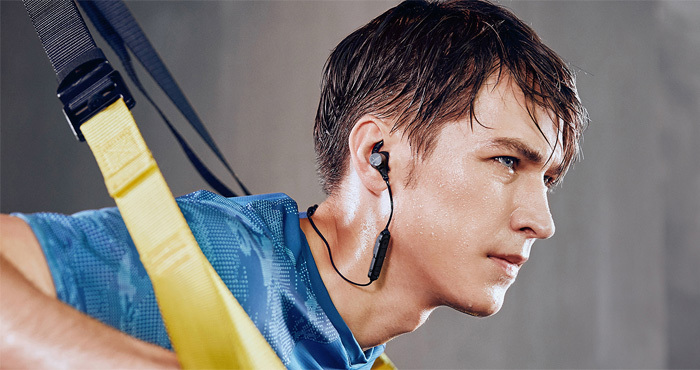 But Anker goes beyond with its Soundcore Spirit Pro earbuds, with an IP68 level of water resistance and extra protection against sweat and seawater (Anker claims 100 times that of other IP68 headphones). The Soundcore Spirit Pro packs an impressive 10 hours of play time into a standard-sized earbud. Whether you want headphones that will last an entire workday or just don't want to worry about charging regularly, these represent a good improvement over the SoundPEATS or Taotronics earbuds. The Soundcore Spirit Pro offers all the features you want beyond that, too. The headphones support aptX high-fidelity audio, two equalization modes (so you can pump up the bass when working out) and built-in magnets, so you can secure your headphones when you're not wearing them. In the box, you'll find ear tips in four sizes and in-ear stabilizers in three sizes, so you can choose the one with just the right fit for secure, comfortable wear. An excellent range up to 33 feet lets you keep the music going even when you aren't right next to your phone. These are a bit more expensive than budget pick SoundPEATS, but you get quality for the cost. In addition to the rest of the feature set, these Ankers have an 18-month warranty. That's more than any other headphones on this list and guarantees you won't have to turn around and replace these in a few months. True wireless Bluetooth earbuds like these SoundPEATS Q32 are completely wire-free, doing away not only with the cable to your phone but also between the two earbuds. The downside is that you don't get long battery life. 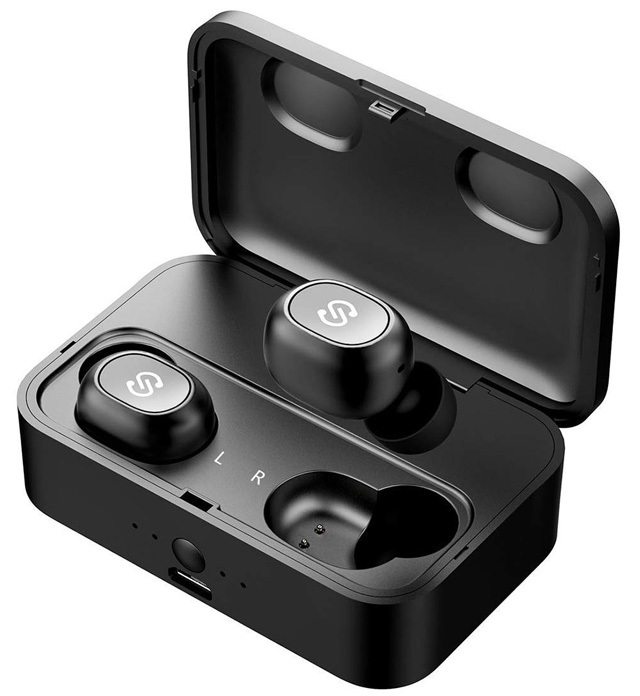 The SoundPEATS Q32 get an average of 3 hours per charge (typical for true-wireless earbuds) and come with a charging case that delivers an impressive 18-20 charges or 54-60 hours of run time. The SoundPEATS Q32 support connecting just one to your phone for safe hands-free driving. You can also connect the two earbuds to two different devices. The tiny SoundPEATS Q32 weigh just 0.47 grams per earbud and are rated at IPX4, which provides light water resistance for sweat and rain. Choose from three sizes of ear tips and in-ear stabilizing hooks for the best fit. These on-ear Skullcandy headphones have a well-rounded feature set and excellent sound at a reasonable price. They're comfy headphones, with plush ear pillows and a solid build (with a metal band) that's backed by a one-year warranty. Their style is minimalistic, with clean lines. You can get them in most solid colors (Amazon currently carries them in black, blue, white and a gray/plaid. Different colors have slightly different prices, some of which go over our $50 limit.) Chunky buttons on the ear cup let you control your music on the go, and a built-in microphone lets you take calls. The 12-hour battery life of these headphones will last through your workday and (probably) your commute. And if you do run out of charge, you can use the cable that comes in the box to plug into your phone. On the downside, the Skullcandy Grind headphones don't fold for travel and you're on your own for finding a carrying case to keep them safe when they're jostling around in your bag. They're not the bulkiest headphones on this list, but they can be a bit unwieldy to pack. There's no getting around it: headphones are bulky. As we mentioned when talking about the Skullcandy headphones above, this bulkiness makes them awkward to pack. Though these Photive headphones are larger than others on this list, they fold flat and come with a hard case to keep them safe during transport. The hard case keeps them in working order even if they fall to the bottom of your book bag. These headphones also up the game for sound quality with over-ear cups and 40mm drivers that provide crisp, clear sound. Beyond that, these Photives include all the right features: a 12-hour battery life for all-day listening, built-in controls and microphone, and a cable so you can plug in if your battery dies. Even at the top of our price range, they're a good value. This is the top of the line for Bluetooth headphones under $50. You get the best sound in this price range with over-ear cups, 40mm drivers like the Photives above and the aptX codec for clearer sound over Bluetooth. These headphones offer a solid set of features, the most notable of which is their astonishing 40-hour battery life — and if you need even more listening time, they come with a cable to plug into your phone. Depending on how much you use them, you could go a week or more between charges. These are one of the easiest headphones to pair with your phone, using NFC to connect with a single touch. It doesn't get easier than that. These headphones do have a couple of fairly minor flaws, but you may be willing to overlook them depending on your needs. While they have a built-in microphone for taking calls, they don't have any controls for adjusting volume, so you'll need to keep your phone close at hand. If you're traveling with them, these are the largest headphones on our list, and they don't fold or come with a carrying case. If those points aren't deal breakers, this is a great set of headphones at a very reasonable price. 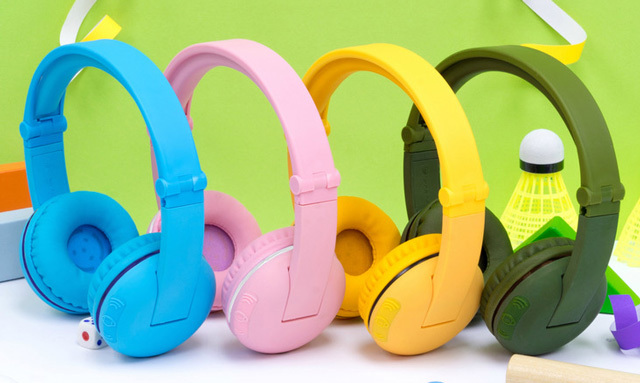 When you're looking for kids headphones, there are three important factors -- comfort, ruggedness and the ability to limit sound (a safe volume level is below 85 decibels). The BuddyPhones Play checks all of these boxes, with soft foam pads and pinch-free hinges, a durable build and the ability to set a safe decibel level for kids and toddlers in a variety of listening environments. There's volume button built into the headphones that you can adjust to the maximum volume level. The BuddyPhones Play headphones can be used wired as well as wirelessly and a built-in jack lets kids share audio, so they can both watch a video together. The battery lasts for an impressive 14 hours between charges. In the box, you'll find a carry pouch, cable for audio sharing and stickers to let kids customize the look of their BuddyPhones Play. And, you can choose from four base colors: yellow, olive green, pink and blue. I think August EP650 should also be included on your list. They sound incredible considering they are also just below $50. One of the nicest, multi-purpose headphones I’ve seen in a long, long time. Your posts are always so useful and this time I wanted to thank you specifically: I managed to find the Aventree Audition for the same price on Amazon Canada (not always the case, unfortunately) and they SO deliver! I have been listening to radio for three days without charging them (at least 25 hours in total) and they keep going. Plus, they are so confortable! 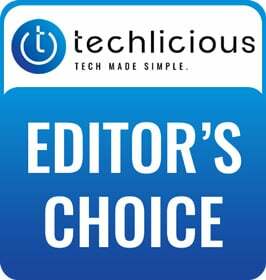 I love Techlicious, you guys are great. For travel, over the ear and noise cancellation provide the best airplane experience. There are several good ones on Amazon, but the one I selected was $70, over your limit. This is my first comment on Techlicious! 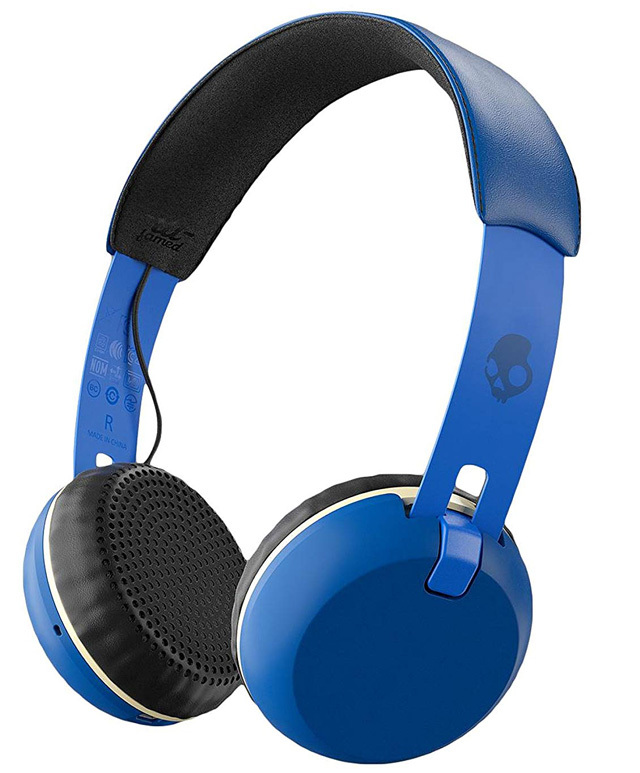 I bought Skullcandy Uproar actually after browsing a lot of forums on the internet. The bass in these headphones is stronger than most of the Bluetooth headphones in the range. But I personally feel that details are missing a lot in these earbuds. Soundmaximum also mentioned that in the case of noise cancellation headphones the details get very lossy. 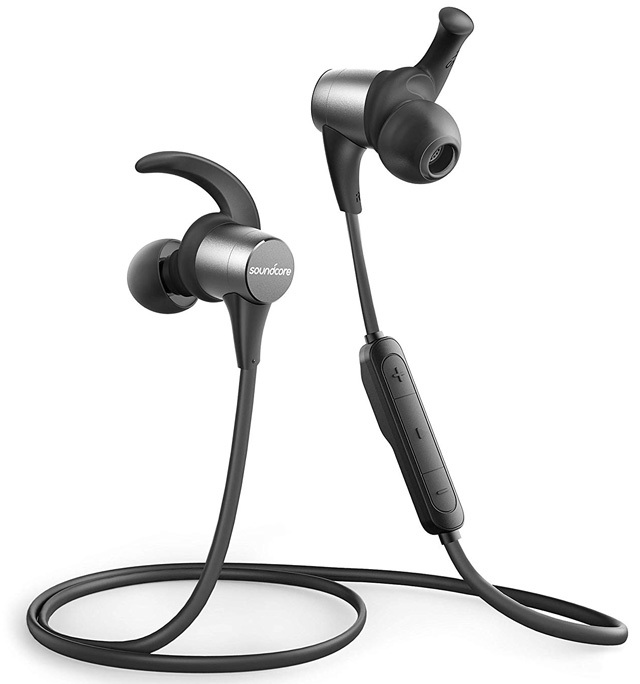 Bose QuietComfort 35 in that matter seems good for a Bluetooth headphones considering the strong bass it offers. Coming to the Aventree Audition I heard it extensively on Head-Fi that the battery life is outstanding. For the price, the advice by you is spot on. SoundPEATS QY7 beats all in terms of value for money. Thanks for these great recommendations. I was reading/watching everyone’s reviews and couldn’t find anyone who I felt really vetted the options out there until your post. I decided to go with the TaoTronics for my workout gear. I just receive, opened, and am currently test running these and they are awesome. The package and product feel really premium, I did not expect the moldable ear hook material with memory that was a nice bonus. When I first connected them to my laptops bluetooth, they kept dropping the sound, but I think it was interference because I switched my wifi to 5Ghz and they are working perfect. So, so far so good, good enough I thouht I’d write a comment. Thanks. Many of these are over $50. Bit misleading of an article. Though the MSRP of some of the headphones we recommend are over $50, you can buy them all for under $50 on Amazon. However, because we are an Amazon affiliate and prices on Amazon change constantly, we are not allowed by Amazon policies to post their prices. We’ll update the language of the story to make it clearer that is the case.